National Day might have passed but there’s still every reason to wear the love for your country on your sleeves. With Odlo, you literally can. We’re huge fans of the brand’s Ceramicool range, sports apparel with ceramic stitched into the fabric to cool your core temperature by up to a degree Celsius. So we’re glad to see that Odlo is a huge fan of our country. 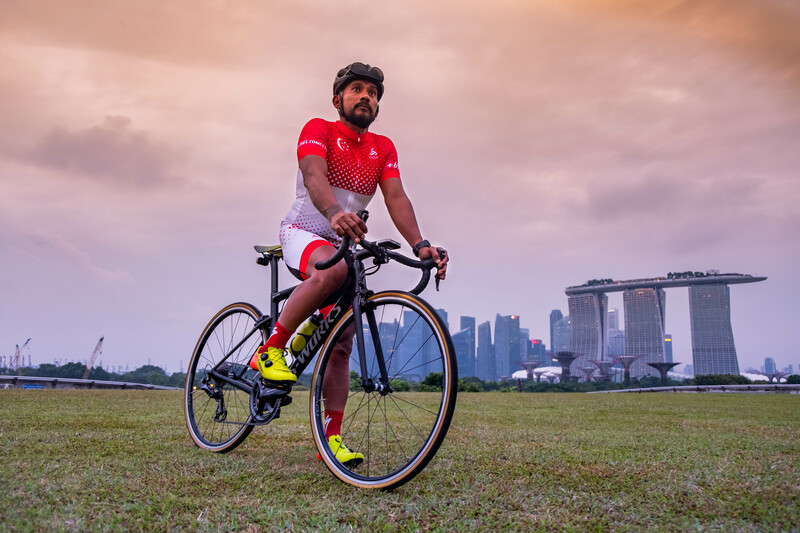 The Nordic brand recently released a limited edition Singapore-inspired cycling jersey and bib shorts to celebrate the island’s 53rd year of independence. It took Singapore’s hot and humid climate into account by making the jersey and bib shorts lightweight, breathable, and stretchable. Some Singapore-inspired sports apparel can be a trifle over the top but we’re glad to see that Odlo has tastefully dialled it down. Besides the red-and-white colour combination, the only other indicators of your bleeding heart patriotism are the country code and the hashtag #THELIONCITY on both sleeves, and the iconic Lion Head at the upper back area of the jersey. The Odlo Singapore-inspired jersey and bib shorts are available at TripleFit. The jersey retails for S$129 while the bib shorts goes for S$159. You can purchase the men’s set here. There is also a set for females available.